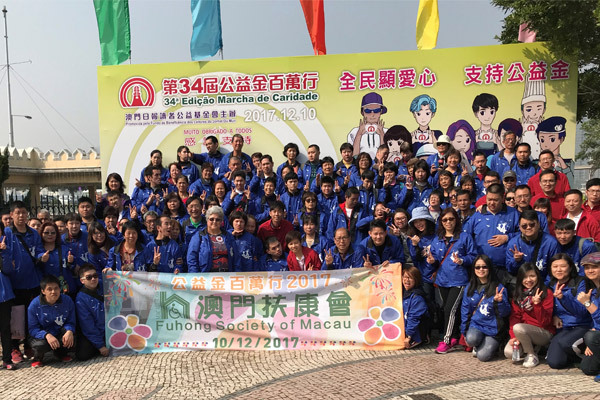 Founded by a group of volunteers in May 2003, the Fuhong Society of Macau is a nonprofit social service organization dedicated to providing diverse services for persons with intellectual disabilities and persons with mental illness in rehabilitation. 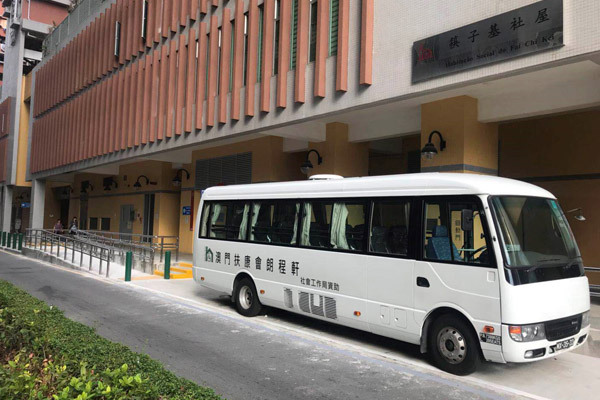 At present, it operates 13 service units, including: “Fuhong Society of Macau Pou Lei Centre” established in September 2003 and specialized in the development of vocational training and employment service for people with mild and moderate intellectual disabilities; “Fuhong Society of Macau, Hong Ieng Centre,” established in July 2005 and specialized in the training for people with moderate and severe intellectual disabilities in the “Life Experience Interaction Model”, after-class and holiday extended care service and family resource service; “Fuhong Society of Macau Yee Lok Centre” established in July 2007 to provide extended supporting service for mental rehabilitation and promote mental health education in communities; and “Fuhong Society of Macau Creative Art House” established in 2010 to provide artistic training for people with disabilities, promote and develop the cultural and creative products of people with disabilities, and develop the arts with the disabled. Moreover, the organization successfully established the “Happy Laundry Social Enterprise”, “Happy Market Social Enterprise”, “Happy Corner Vocational Training Store Social Enterprise”, under Phase I and Phase II of the Social Welfare Bureau’s financial aid application program “Financial Aid Program for Employment Development of People with Disabilities” in 2012, 2015 and 2016 respectively. 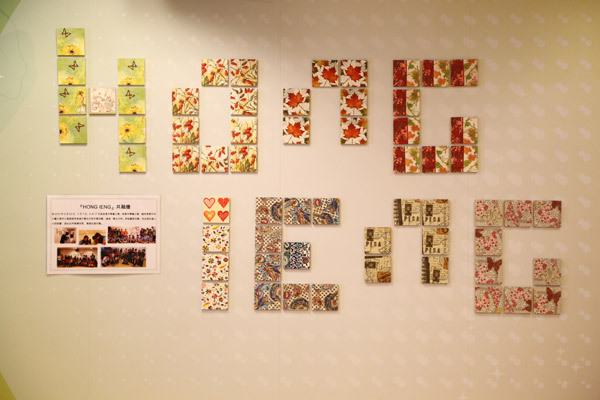 Moreover, it sets up the “Happy Shop @ Anim’ Arte Nam Van” social enterprise in 2016, “Happy Shop @ Taipa Houses Museum” vocational training booth and “Happy Corner @ Macau Tower” social enterprise in 2017, expecting to provide a work platform and create the job opportunities for people with disabilities, so that people with disabilities can be hired to work and actively integrate into the society with own efforts. 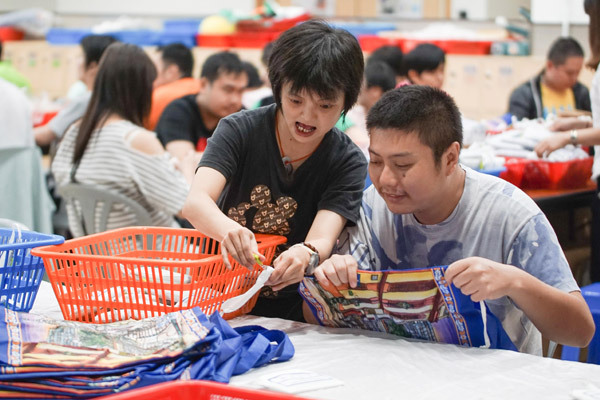 In 2017, the organization established the “Fuhong Society of Macau Long Cheng Centre”, a centre for males with intellectual disabilities of moderate or severe level; and “Fuhong Society of Macau Pou Choi Centre”, a centre provides vocational training for people with disabilities. 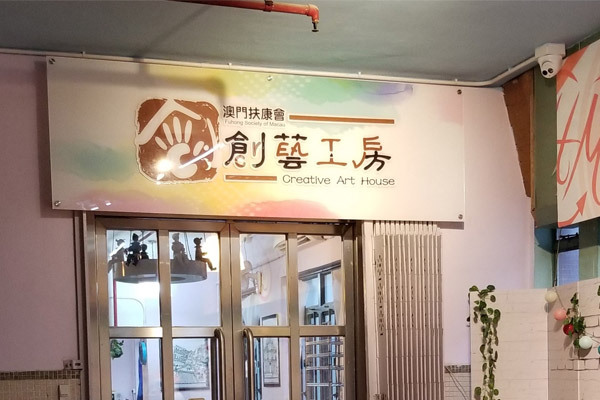 In 2018, it set up the “Happy Art Studio” to provide the courses related to the arts with the disabled for people with disabilities of different levels and sell the cultural and creative products made by people with disabilities. People with disabilities enjoy all basic human rights, recognition and respect must be the most important aspects to them. They have the right to accept all essential aids so that they can realize sufficient growth in all physical and spiritual aspects. The Organization will make all efforts to ensure the respect for their rights. 1.Provide a variety of opportunities for people with disabilities to develop their personal capabilities, make them sufficiently independent and self-relied, and actively integrate into the communities. 2.Advocate the revision of education, policies and codes, and fight for equal rights of people with disabilities. 1. Providing various services, such as domestic care service in the community, which provides a comprehensive caring and the domestic living environment for the disabled persons who are in need. 2. Providing various evaluation and training in order to inspire the potentials of the disabled persons. 3. Co-operating with the family of the disabled persons for providing services with good quality. 4. Providing evaluation, skills training and job opportunities for the disabled persons who are suitable for working. 5. Providing individual counseling and social work services for the disabled persons and their caretakers. 6. Promoting educational events, which aims to let the public to understand more about the disabled persons in order to treat them with a positive attitude. Established in September 2003, the former “Fuhong Society of Macau Pou Choi Centre” was the first centre developed by the Fuhong Society of Macau. The Centre Operates in the model of comprehensive occupational rehabilitation, it provides comprehensive occupational rehabilitation and employment supporting service for people with mild or moderate intellectual disabilities at the age of 16 or above, including works at the vocational training workshop, supported employment, on-the-job training, independent living skill training and other services. 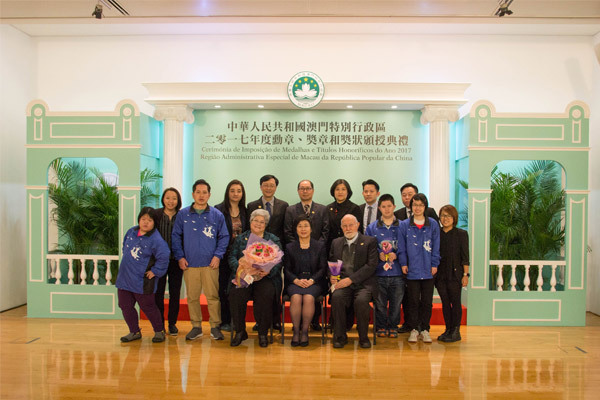 Considering the increased needs in the society, the Centre was relocated to the current site at Travessa da Areia Preta on July 3, 2017, and officially renamed to “Fuhong Society of Macau Pou Lei Centre”. The Pou Lei Centre occupies a land of 20,000 square feet, and its capacity has increased from 100 at first to 200 service users at present. Additionally, the Centre has added occupational rehabilitation extended services, special training and physical therapy services, and continues providing diverse occupational rehabilitation services for persons with intellectual disabilities on the basis of existing services, to assist their development of potentials and gain more job and development opportunities. Pou Lei Centre (Formerly named as Pou Choi Centre) was having an opening ceremony on December 11, 2003, and they officially put into service on that day, As a celebration, Dr. Fernando, CHUI Sai On, the Secretary for Social Affairs and Culture; Mr. IP Peng Kun, the Director of Social Welfare Bureau; Ms. FERREIRA, Maria de Fatima Salvador Dos Santos, the President of Fuhong Society of Macau, Mr. WONG Kam Kee, the President of Fu Hong Society of Hong Kong, and Mr. Simon LEE, the Secretary of Fuhong Society of Macau were invited as the officiating guests, they added five petals with seven different colors onto the flower, as well as the bud and the stem, which made the rainbow flower. 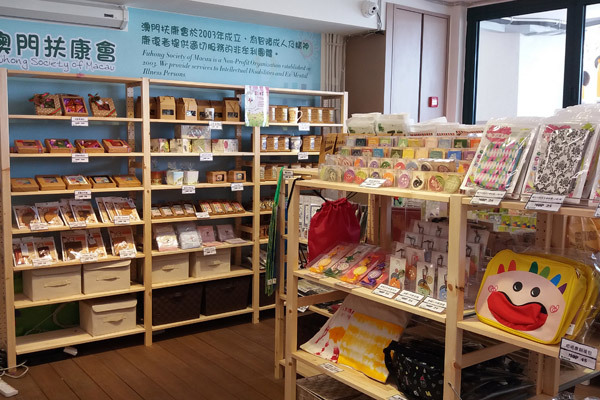 The Rainbow Flower has already become the logo of the handcrafted products which made by the users with intellectual disabilities of Pou Lei Centre and aims to let the buyers understand more about them when they saw their products with the logo. There were seven fairies who lived on the rainbow, they turned their love into a seven-color rainbow. The glow of the rainbow shines the flowers all around, and after the flower had received love, which turned its pedals into different colors and made the rainbow flower. It is said that if you make a vow of love to the rainbow flower, and give it to the person you love, the true love will bloom like a rainbow flower. The slogan of the Rainbow Flower is “Caring for the mentally handicapped, Leading you to a beautiful life”. Everything starts with caring for the mentally handicapped, Which makes you feel the satisfaction of your life; Your care and passion that you have devoted, Which leads you to a beautiful life. 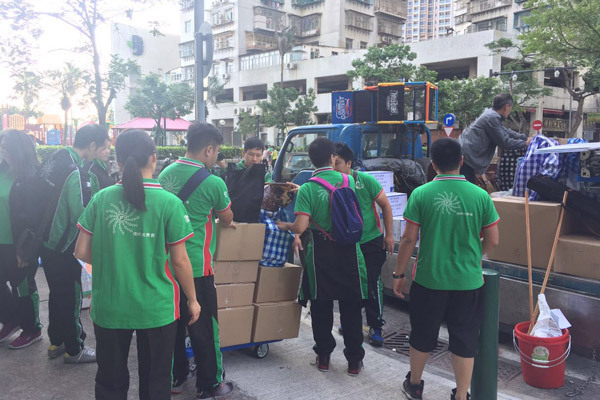 Fuhong society of Macau Hong Ieng Centre is operated by the Fuhong Society of Macau, as entrusted by the Social Welfare Bureau. Services officially began in October 2005, providing daytime activity training for persons with moderate or severe intellectual disabilities ages 16 and above. In order to accommodate the increase of service users, the Centre was relocated to the current site in August 2012, and service users grew from 40 to 80. The Centre also added an extended care program (after-class and holiday extended care service), which provides care for 50 service users a day, and opened the parent resource service to provide services for family members of persons with intellectual disabilities. Provide all-round training for service users to facilitate the development of their personal capabilities, enable them to live independently and integrate into the society; arrange the temporary nursing and after-class activities for students with intellectual disabilities to enrich their life after class; pay attention to the family members of people with intellectual disabilities and give suitable physical and spiritual support to them. Meanwhile, make efforts to promote the integration of service users into communities. The Centre follows the model and ideas of “Life Experience Interaction Training” in the design of suitable contents for training, integrates diverse professional elements into “life experience”, “positive interaction”, and “diversified training”. With the focus on “being people-oriented and learning from life”, the Centre helps service users to adjust themselves to communities, achieve independence and good quality of life. With respect, acceptance, and care, the Centre realizes the practical value of integration and joins hands to delve into potentials of people with disabilities. Rehabilitation Group performs the “diversified assessment” of service users periodically, and provides physical therapy, occupational therapy, nursing and care, living and working skill training, mental guidance and behavioral improvement plan based on their physical health, behavioral characteristics, and skill development, etc., so as to facilitate the growth of service users in all directions. By constantly promoting arts activities to the service users, the Centre delves into the existence of service users and the value of arts to them. Through artistic creation, service users can express their feelings, improve physical and mental health, enrich their viewpoints, arise their potentials and demonstrate their talents. The Centre attaches importance to the interaction and participation among service users, families and the society. Through the provision of services, it can alleviate the difficulties of family members in caretaking and improves multiple functions for service users, to improve their quality of life and family relationship. 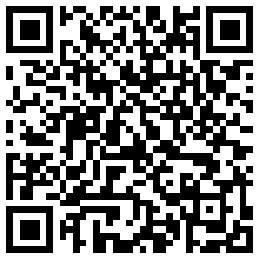 A platform has been established for interaction with people in communities. Regional networks and resources are connected to encourage and promote the idea of community integration to create harmonious integration communities. 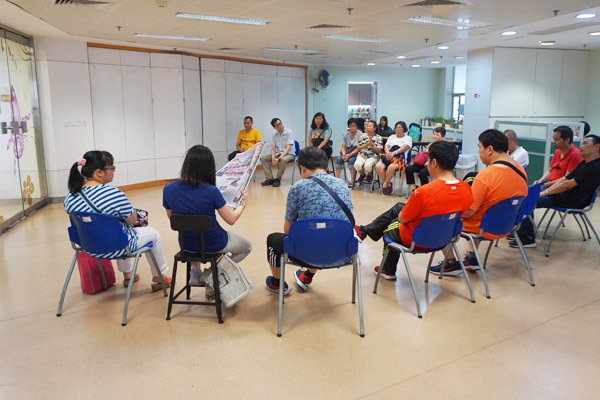 Realizing that the family members face the physical and psychological pressure from taking care of family members with intellectual disabilities and therefore the service of parent resource service is established to support the family members of persons with intellectual disabilities in Macau. 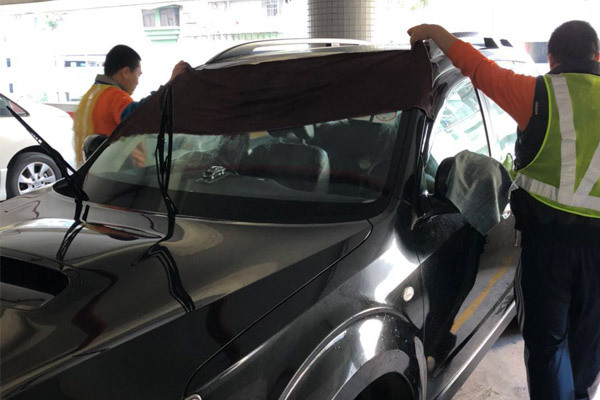 By offering high-quality professional services, the service helps to alleviate the pressure on family members and help the family to be more harmonious. The service also helps family members to widen their personal knowledge and encourages them to form a support network to help each other. The Service also organizes parents to visit elderly centers in order to let them contribute to the society. At present, the Centre occupies an area of 17,000 square feet. The team of workers has expanded from 16 in the beginning to more than 40 today. It consists of management personnel, social workers, special education teachers, physical therapists, occupational therapists, nurses, tutors, education assistants, healthcare workers, activity coordinators, clerks, drivers and cleaners. 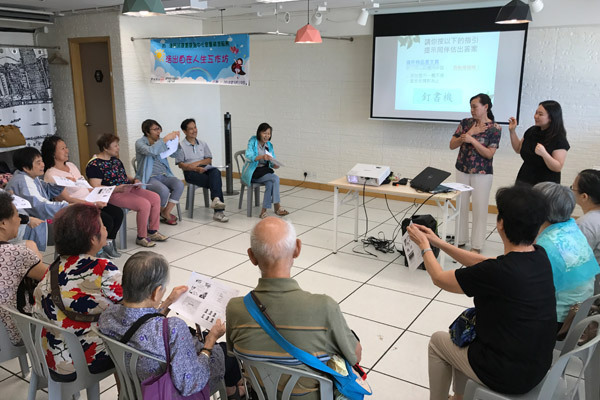 The team is divided into four groups on the basis of three major services: Rehabilitation Training Group, Community Rehabilitation Service Group, Auxiliary Medical Group and Family Resource Group. Under the service tenet of “enriching life experience of people with intellectual disabilities and preparing them to integrate into community”, and “joining hands delve into potentials and realizing integration with community in practice”, professionals work closely with frontier workers through meetings, trainings, and knowledge exchange to constantly make progresses and achieve improvements. 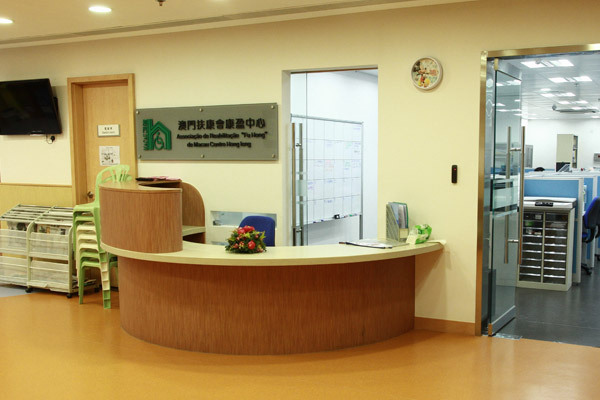 In July 2007, Fuhong Society of Macau Yee Lok Centre started offering the mental health community support service with the financial aid of the Social Welfare Bureau, and providing the community mental rehabilitation support service to persons with mental illness in rehabilitation who are in stable mental condition and their caretakers. With its community-based extended care and people-oriented group work, the Centre arranges a trans-disciplinary team to improve the social roles of persons with mental illness in rehabilitation, to enable them to live independently, further integrate into the community, exercise their rights and perform their duties as citizens. The trans-disciplinary team of the Centre consists of diverse professionals, including occupational therapists, counselors, social workers, nurse, and clinical psychologist. The team pays visits to communities to provide extended care to service users directly, including counseling and emotional support, medicine and mental health knowledge training, occupational rehabilitation assessments and training, family support and connection, etc. Additionally, the Centre relies on the people-oriented group work, including therapies and supporting groups, cognitive training, psychological and social skills training, body and mind relaxation, recreational activities and other programs, to constantly facilitate the growth of service users and enrich their lives. Dedicating itself to promoting public education and preventing labeling persons with mental illness, Yee Lok Centre periodically holds exhibitions, lectures and informational activities at communities to constantly promote mental health education, improve citizens’ knowledge about mental health, call upon the public’s constant care for the mental health of individuals, and accept people with mental illness in rehabilitation positively. 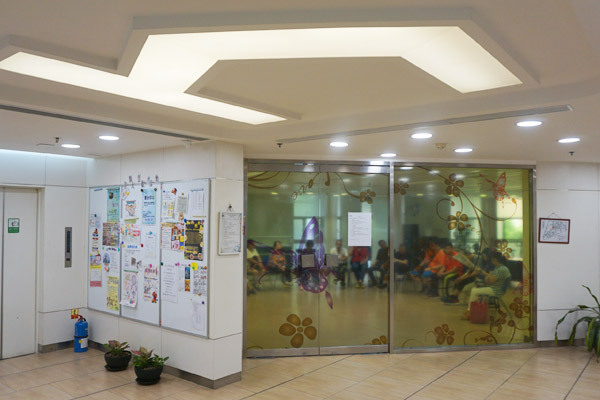 Established with the financial aid of the Social Welfare Bureau in late 2017, Fuhong Society of Macau Long Cheng Centre provides 24 hours residential service for men with moderate or severe intellectual disabilities at the age of 16 or above and dedicates itself to offering diverse residential services for service users. Generally, this Centre utilizes science and technology to realize the high-quality life of service users; provides diversified and individual rehabilitation trainings to improve their living skills; opens different types of classes for users to explore their potentials and interests, and develop the art with the disabled; makes good use of its geographical advantages as well as the network resource of communities under the Fuhong Society of Macau to connect with communities, and create opportunities for service users to integrate into society and participate in different social activities. 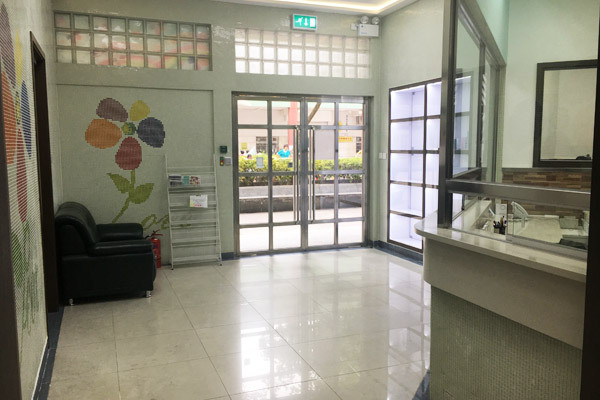 Additionally, this Centre also provides the short-term and emergency residential services for people with intellectual disabilities from families in urgent need. 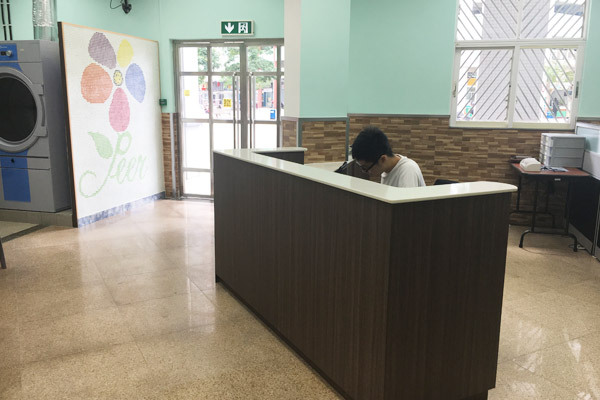 Fuhong Society of Macau Pou Choi Centre put into service in May 2018 under the subsidization of Social Welfare Bureau, which is a comprehensive vocational training center for rehabilitation, that offers vocational training, employment referral, and on-job training services to rehabilitants with stable mental status. Its service capacity is 80 service users. 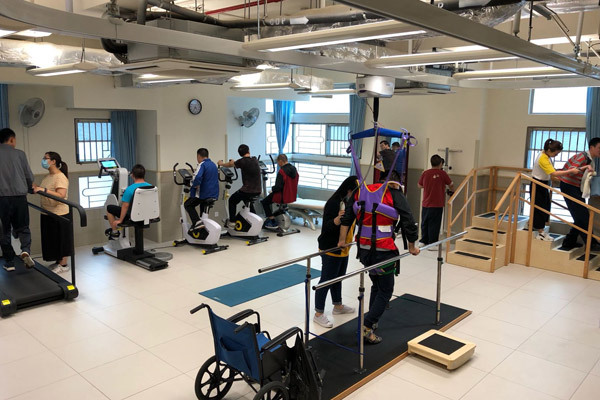 To benefit more rehabilitants in need of vocational rehabilitation, the Centre adds different elements to its services in order to offer more diverse services for rehabilitants. In order to fully utilize the covered area of 8,000 square feet effectively, Pou Choi Centre diversifies its services and the centre is divided into different training areas, including the workshop for training skills to nurture work habits, as well as laundry, reception area, gift shop and restaurant, which is opened to the community. Considering their personal interests, working experiences and the advice of an occupational therapist, rehabilitants may choose different areas to receive vocational training service. Our professional team also provides emotional and skill-based supports in the relevant training, to ensure the growth of rehabilitants in training. The Creative Art House of Fuhong Society of Macau was established under the partial subsidization of Macao Foundation, in September 2010. People with different types of disabilities are gathered to develop their sense of art and creativities. Regardless of the types of disabilities, art provides a channel for their mutual cooperation, sharing, and education, which adds different colors to the artistic platform and creates a mutually cooperative atmosphere. 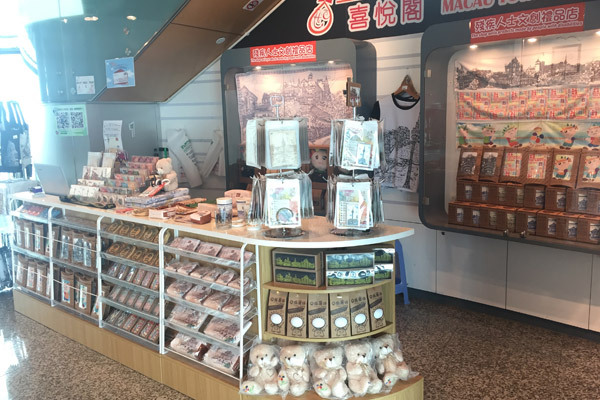 With the focus on the “double-track” development, aside from providing the art training, the producing of the cultural and creative products and the souvenirs also play an important role in our operation. By allowing people with disabilities to keep direct contact with citizens through their works, their works become a medium for publicity and promotion, and demonstrate their support and participation in social culture and creativity. From the perspective of art, people with disabilities can be further recognized and understood by the public through the arts of the disabled. 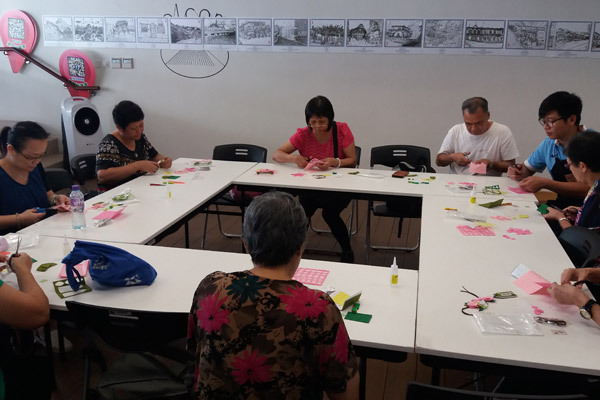 Fuhong Society of Macau established a social enterprise working group at the end of 2008 and engaged in the study on the possibility of developing social enterprises in Macau. 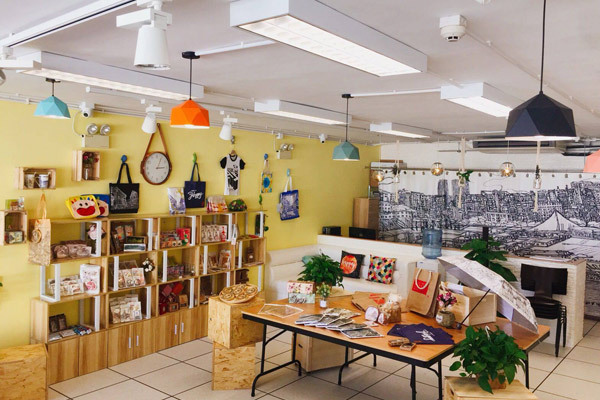 The Government of Macau Special Administrative Region also proposed to implement the “Social Enterprise” program with local characteristics in the “2009 Policy Address”. 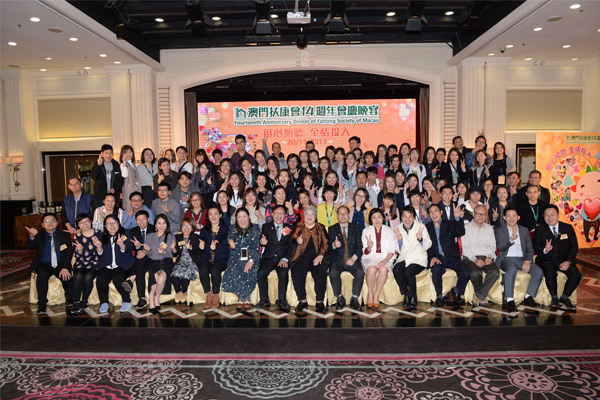 In 2010, the Social Welfare Bureau of Macau Special Administrative Region launched the Financial Aid Program for Employment Development of People with Disabilities as a pilot scheme to invite non-profit organizations for the applications. By means of financial aid, the institutions whose application was accepted were supported to fulfill the social enterprise program for employment development of people with disabilities. 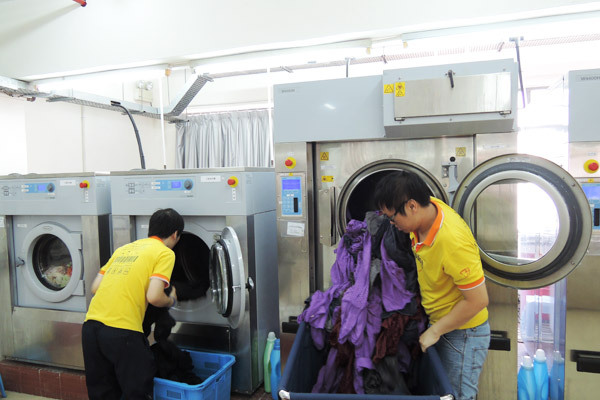 Founded in January 2012, Macao FHS Company Limited Happy Laundry Social Enterprise is formed under the 1st phase of Financial Aid Program for Employment Development of People with Disabilities released by the Social Welfare Bureau of Macau Special Administrative Region, and it is affiliated to Macao FHS Company Limited under Fuhong Society of Macau. Happy Laundry is a social enterprise which operates in a business model and aims to obtain both “economic” and “social” effectiveness. Happy Laundry aims to create more job opportunities for people with disabilities and help them to work as employees in the actual working environment, which enables them to integrate into society actively. While developing Happy Laundry Social Enterprise, the organization had also established Happy Market Social Enterprise under the 2nd phase of Financial Aid Program for Employment Development of People with Disabilities in July 2015, and expected to make further breakthroughs based on the employment development of people with disabilities, and give play to the social functions of social enterprise. 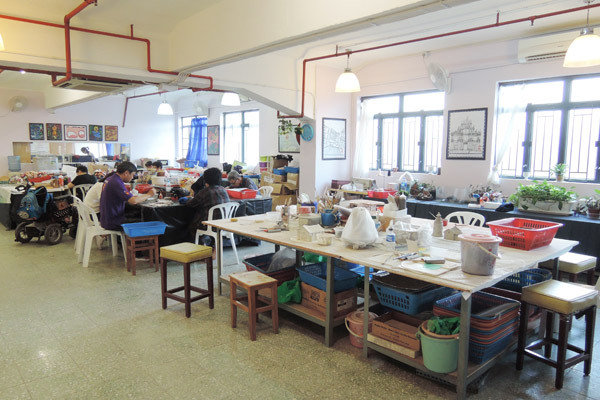 By making an attempt to become a coordinator of social resources, and operate under the concepts of innovation, environmental protection, and public welfare, Happy Market Social Enterprise gathers well-preserved second-hand items from the public and makes them tradable again after cleaning and repair. Moreover, such concepts as “resource regeneration, resource sharing, and resource gifting” are added to solve social issues and create social benefits with social innovation methods. 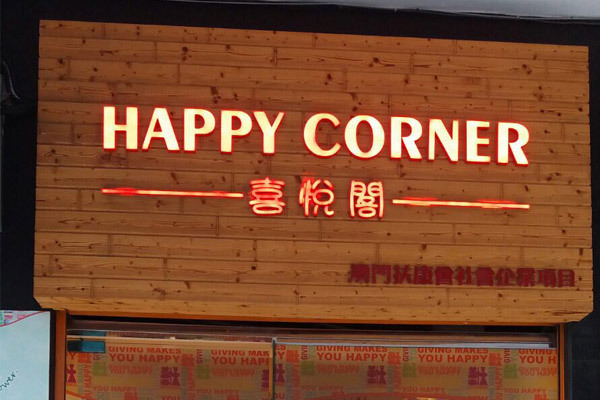 Subsequently, the organization established Happy Corner Social Enterprise in April 2016 and worked with a commercial institution to establish Happy Corner @ Macau Tower Social Enterprise in April 2017, expecting to develop the market for selling second-hand items as well as the handworks, cultural and creative works of people with disabilities, so as to provide more diverse employment opportunities for people with disabilities. 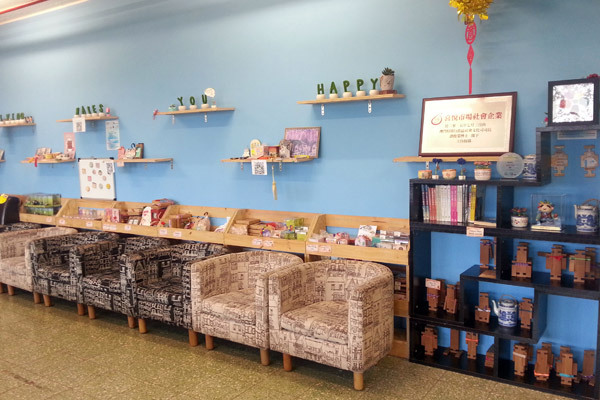 Under introducing by the Cultural Affairs Bureau, the organization engaged in the Happy Shop @ Anim’ Arte Nam Van and Happy Shop @ Taipa Houses Museum projects in June 2016 and January 2017 respectively. 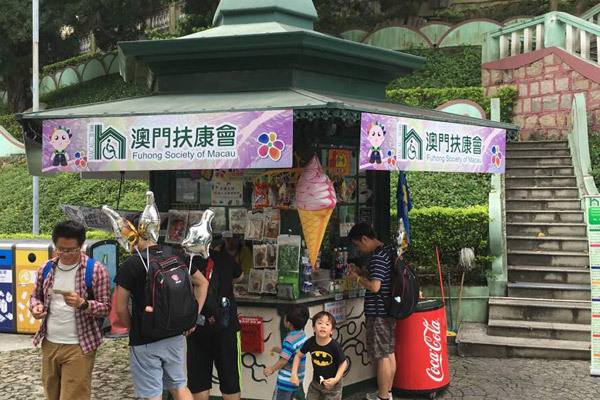 In these projects, the government provides places at the popular scenic spots of Macau to start up the cultural and creative souvenir shops and occupational training booth, which sell the cultural and creative works, snacks and beverages made by the service users of the organization, and provide the art workshop and shopping experience for Macau’s citizens and foreign tourists, in order to increase the awareness on the capabilities of the people with disabilities. 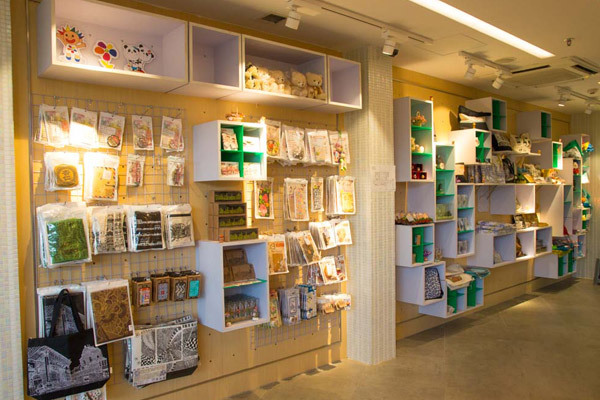 Located in Anim’ Arte Nam Van S9 Shop, Happy Art Studio started to operate in June 2018 and providing places for persons with different disabilities in the organization, which enable them to learn the arts with the disabled and sell their works. By the concept of promoting the arts with the disabled, the Studio takes diverse courses such as dance, music, and horticulture as therapeutic media to help participants to develop their artistic potentials and guide their ignored emotions and experience, to achieve healing effect and improve parent-child relationship. Additionally, these efforts will shatter the social barriers to build a harmonious society.